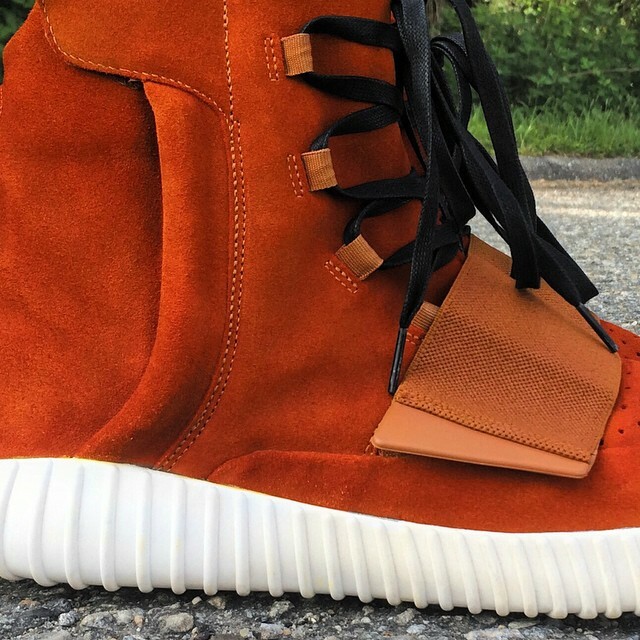 More Visvim vibes added to the Yeezy Boost. The low-top 350 is now confirmed to release a month from today, which likely means that it's launching before a second colorway of the adidas Yeezy 750 Boost surfaces. Fortunately, customizers haven't been too accepting of the wait and have taken giving Kanye West's adi sig fresh looks into their own hands. 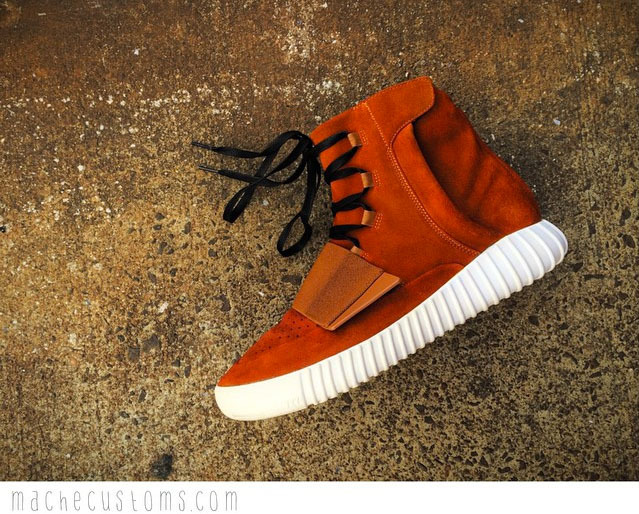 Enter Mache, who fulfilled his latest customer order by treating the 750 Boost to a Visvim-inspired 'Auburn' makeover. In addition to the fully dyed upper, Mache swapped in a set of waxed black laces and left the white, Boost-cushioned sole to finish off the look.